Halloween isn't all black and white and orange… There is color and life beneath the surface of this holiday. 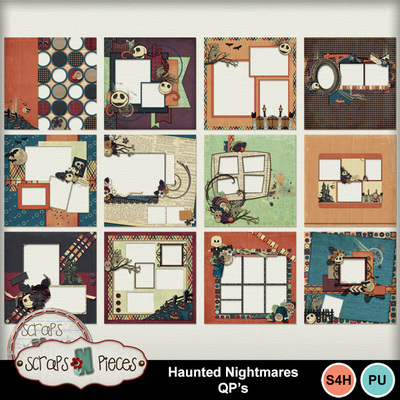 Haunted Nightmares draws on the traditions of Día de Muertos, Halloweentown, and trick or treating fun for a perfectly spooky color scheme. This kit comes packed with festive patterned papers and seasonal elements, with a hint to all the things that make Halloween great. Grab the full kit!